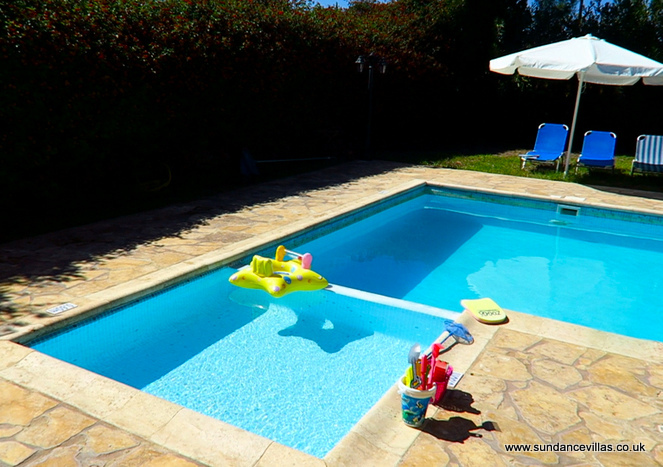 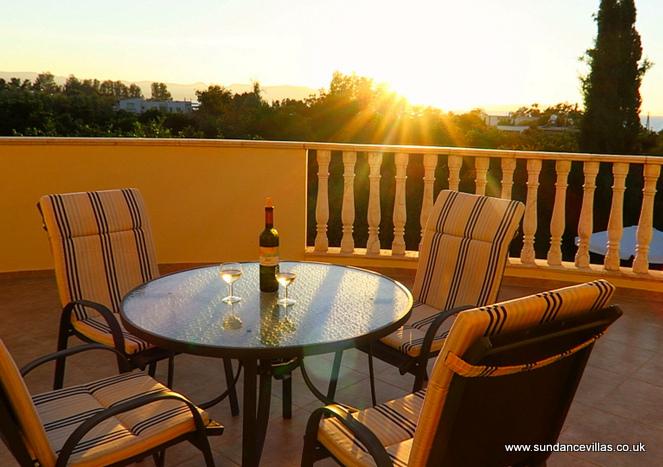 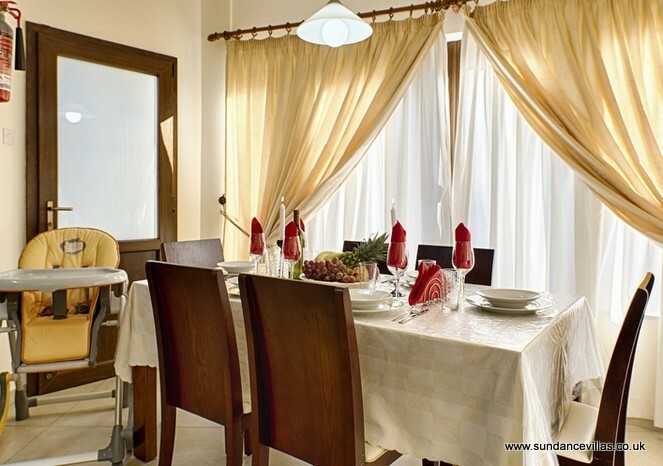 “Immaculate… We would absolutely use Sundance Villas in future… made our holiday what it was… Perfect!" 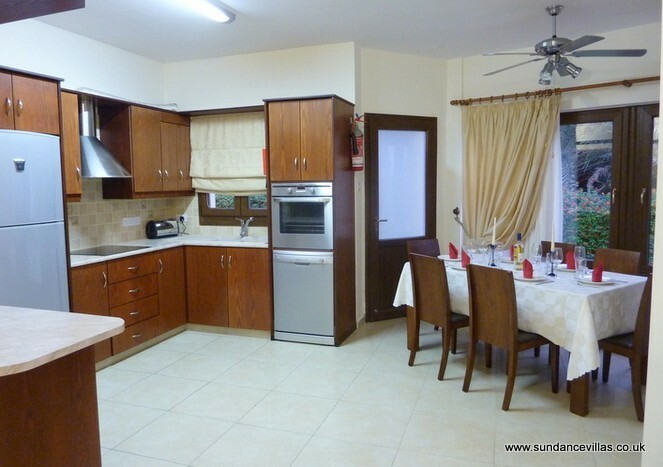 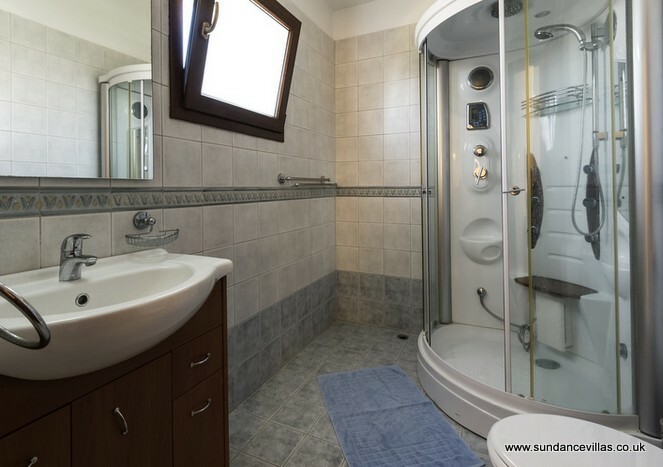 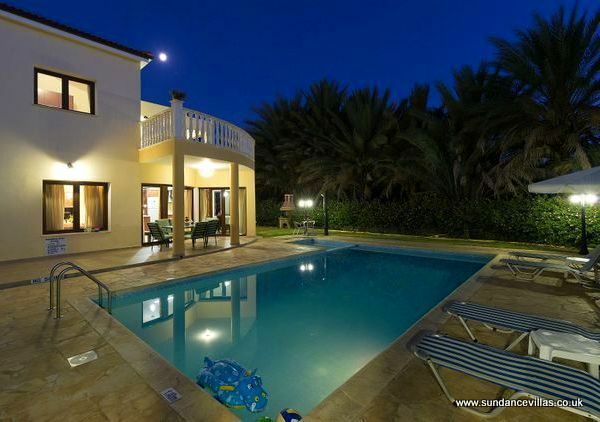 Well equipped beach villa with side sea view situated 30m from the sand and pebble undeveloped Argaka beach. 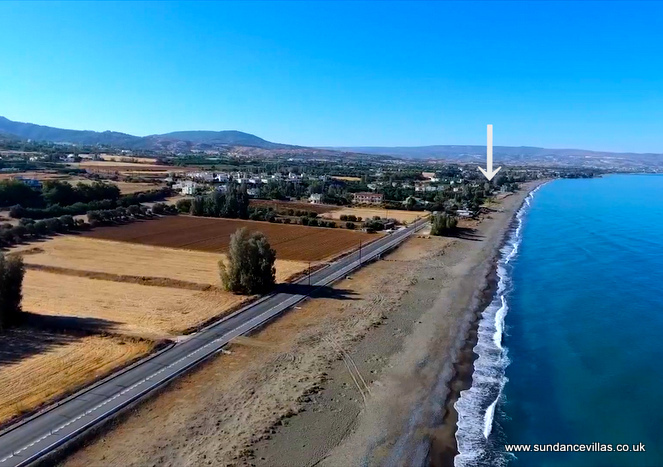 Local taverns are from 1 minutes walk so you can have a break from driving and also walk to the beach opposite. 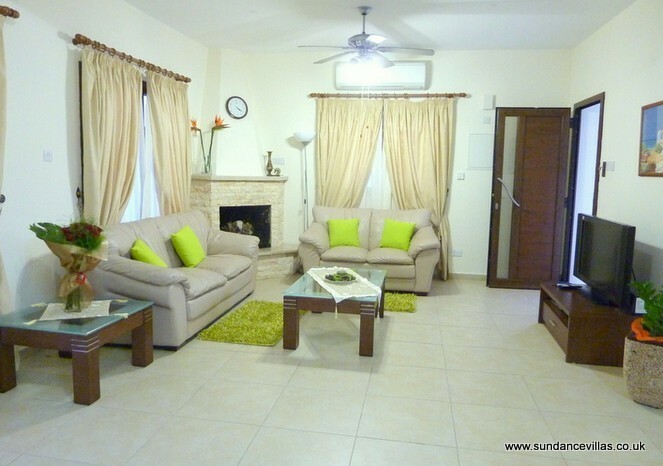 The friendly owners have succeeded in making this property a “home from home” with quality furnishings, including an imported German kitchen, ceiling fan in every room and superior double glazed tilt and turn windows and doors. 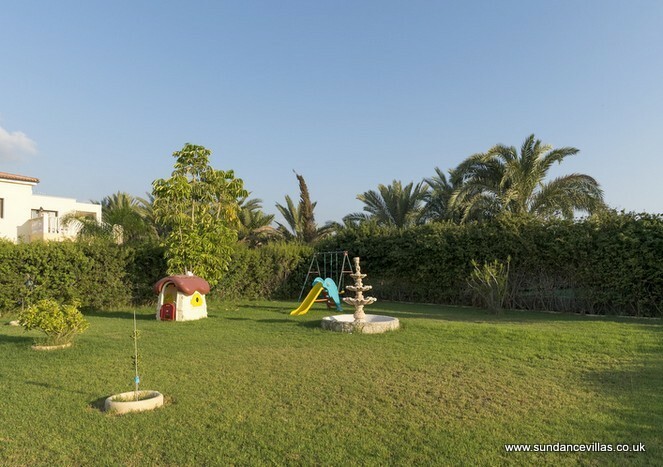 There is a grassed play area in front of the villas, (shared by all our 5 villas), equipped with some play equipment, which means you do not have to go far from the villa to give your children a change of scenery, (and hopefully to make some new friends with other children staying here at our 5 villas). 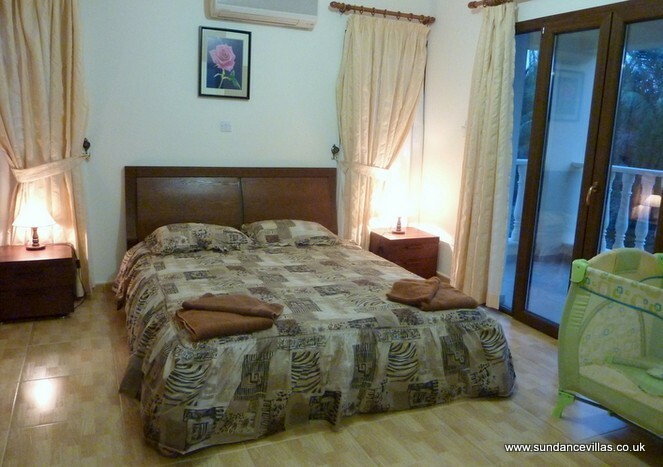 As well as local TV channels including world news, you can watch films via the media streamer. 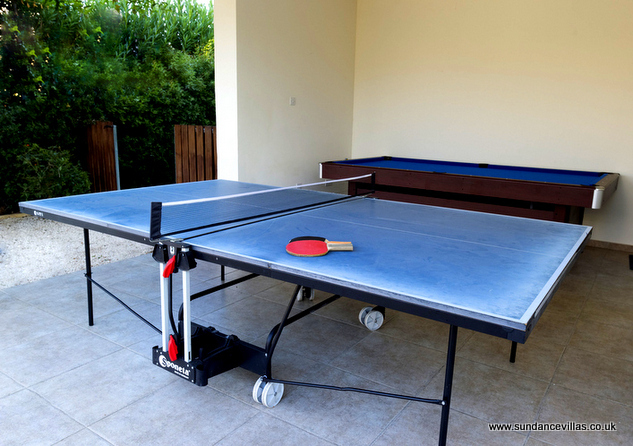 The villa has a table tennis table, and we have a PlayStation 3 on request. 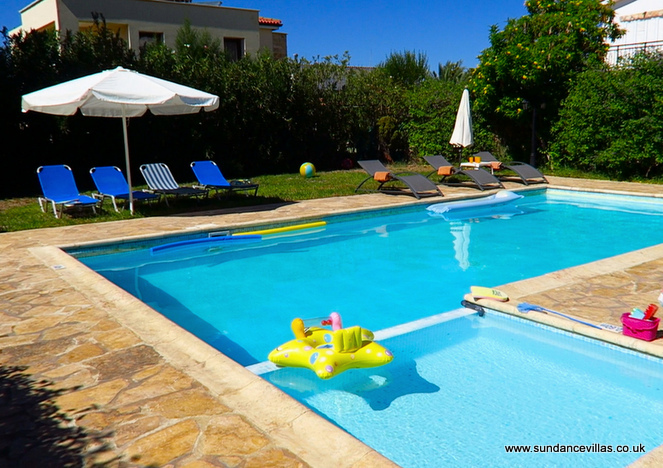 The villa has a dual billiard & table tennis table, and we have a Playstation 3 on request. 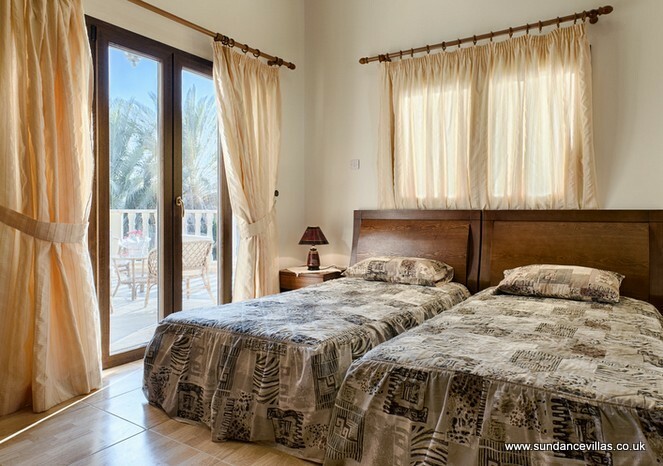 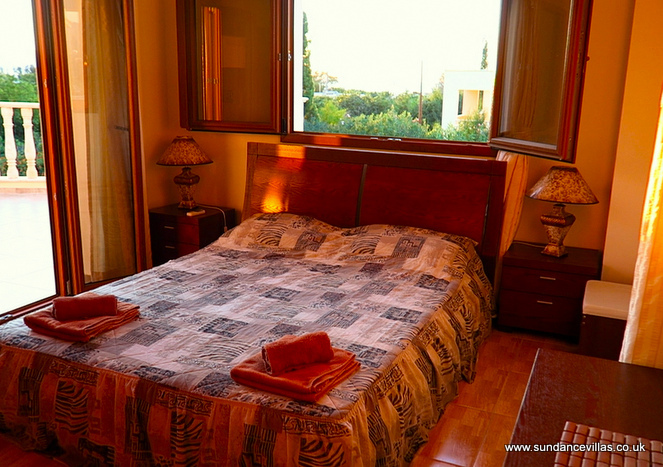 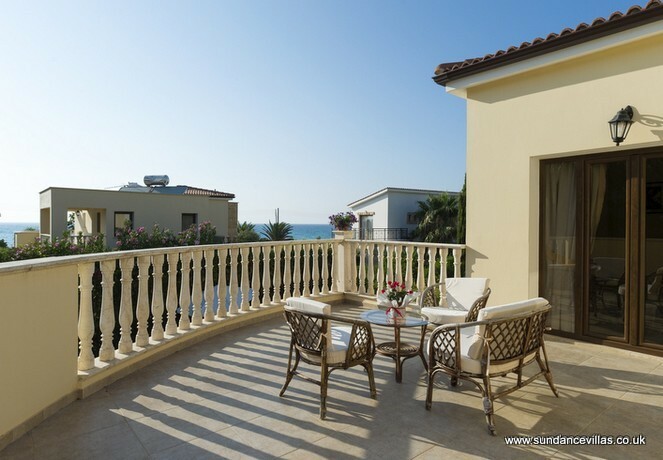 The villa is accessed from the coast road via a private drive, and the large balcony upstairs provides a side sea view. 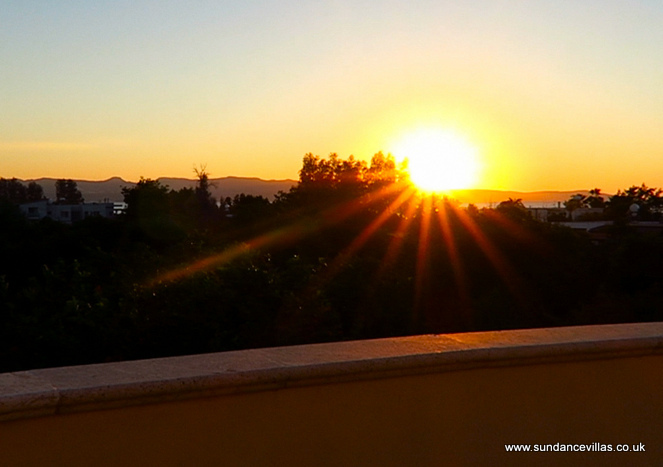 This coastline enjoys wonderful sunsets over the sea. 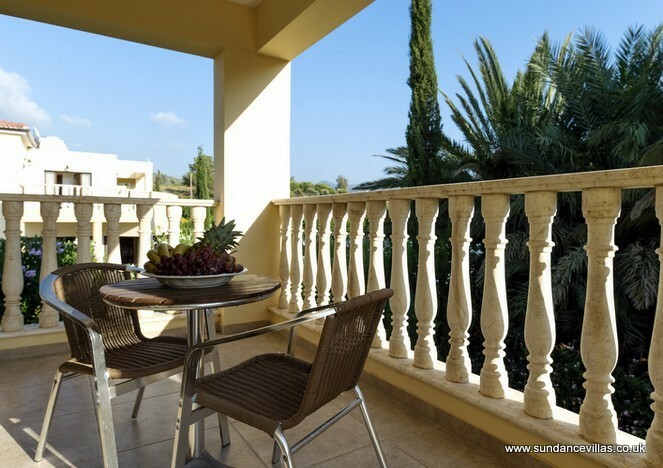 You also have views over the mature palm trees and orange groves to the side, backed by hills. 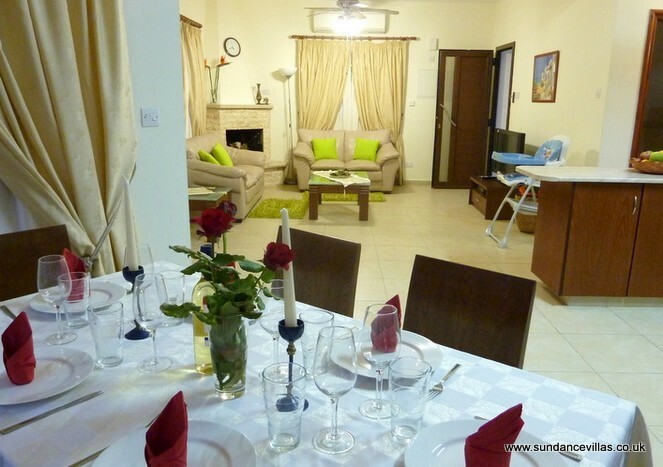 There is a selection of tavernas within easy walking distance along the flat coast road, starting with the popular Liza’s Place 1 minutes walk, (children love the menagerie here) and Liza is happy to cook “off menu” food, just ask. 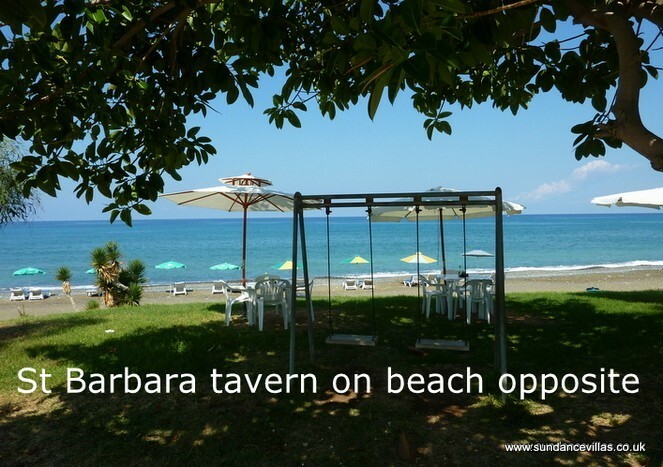 Santa Barbara restaurant on the sandy beach is about 5 mins walk, and they offer sun loungers on the beach too. 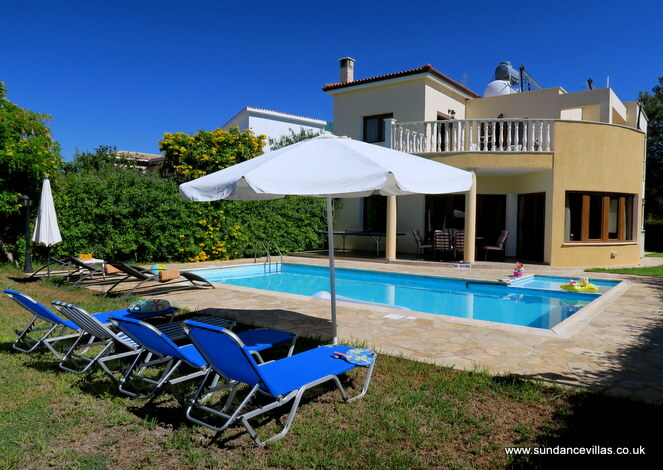 Argaka village is tucked behind the villas and has a well stocked supermarket. 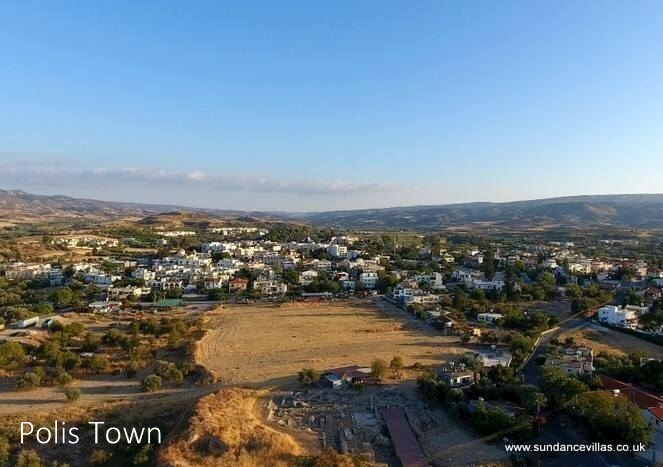 Quaint Polis Town, a wonderful mix of old and new, is a little further on, and can provide you with a fantastic selection of shops, restaurants, bars, banks and a pretty pedestrianised centre. 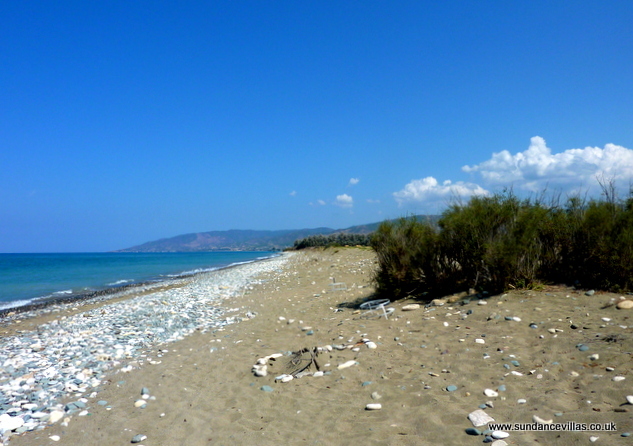 Latchi with its pretty harbour and fish tavernas is just 2km further. 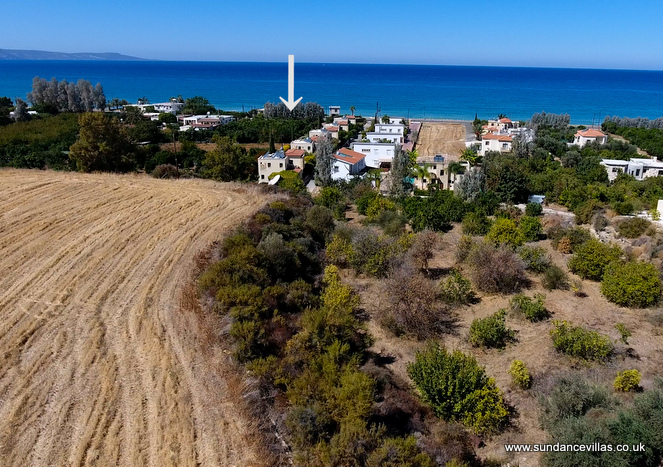 We have 4 more identically furnished villas here, Argaka Shore in front, Argaka Bay directly behind, and further back, with heated pools; Argaka Beach (supplement) and Argaka Sand (solar heating no charge). 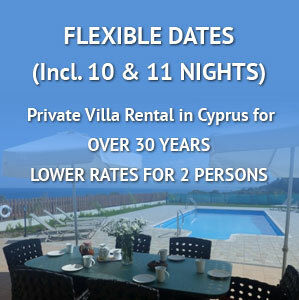 We offer 2 adult lower rates by email, on selected dates.